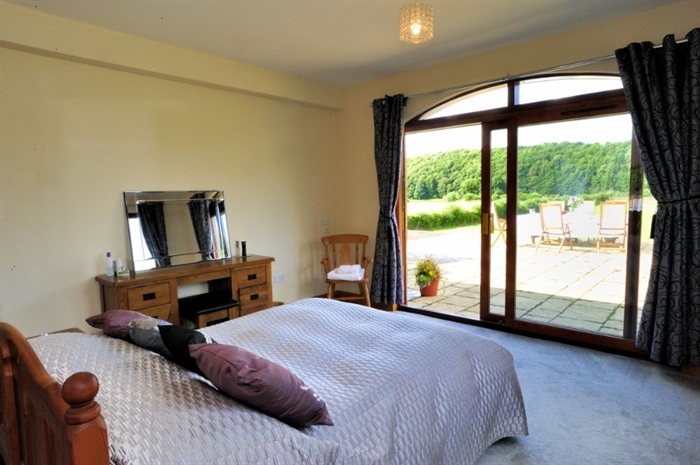 Four bedroom Riverside Lodge offers guests the best of both worlds sitting on the edge of the pretty village of Norham with the River Tweed on its doorstep. Fabulous walks nearby. Only fifteen minutes to the stunning Heritage coastline. 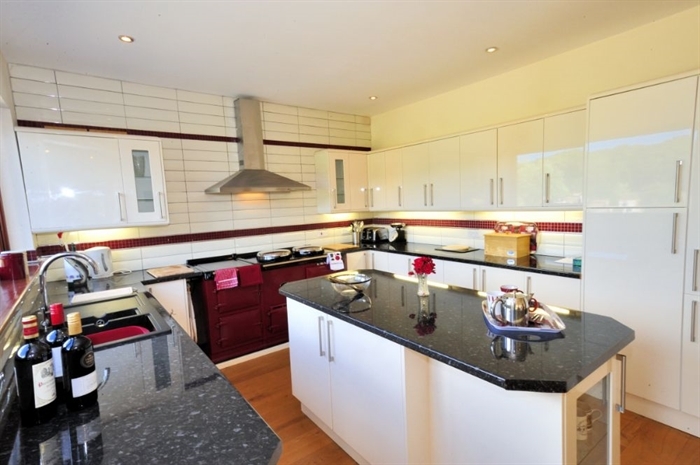 This newly built property offers spacious, well-presented accommodation which is incredibly light and bright. 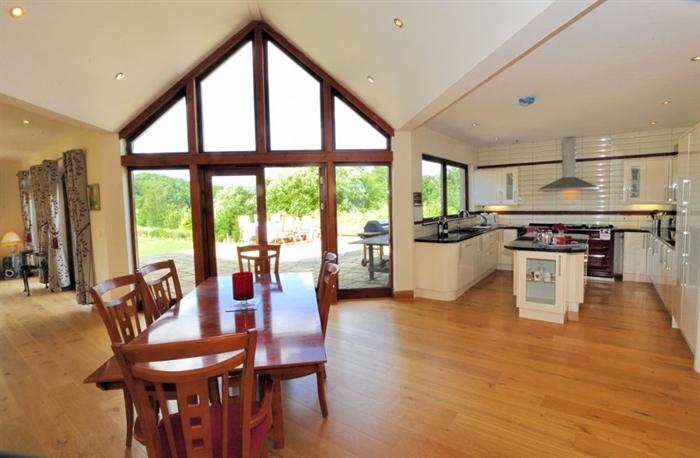 An impressive open plan living area includes a contemporary kitchen complete with state-of-the-art electric Aga, a dining area for eight and a seating area with super views and several sets of French doors opening onto the terrace. French doors in the master bedroom make the most of the light and the views. Outside, there’s a terrace with gas barbecue and furniture for outside dining. 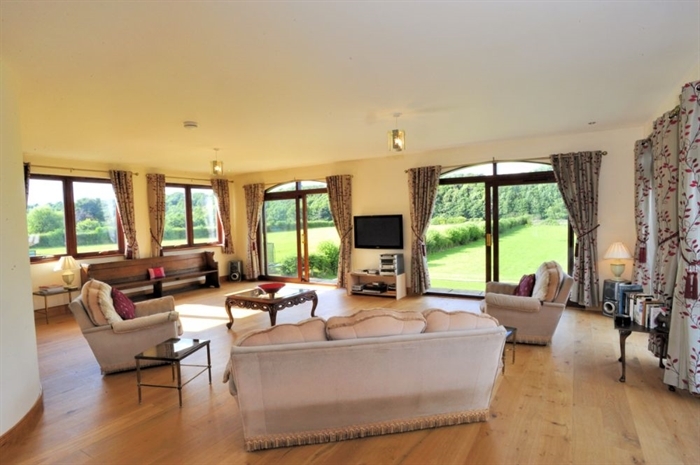 Step out of the back of the house and the large rear garden sweeps down to the River Tweed and into open countryside via a network of fabulous river walks. A stretch of Astroturf at the top of the bank is ideal for some pitch and putt practice or as an all-weather play area for children. 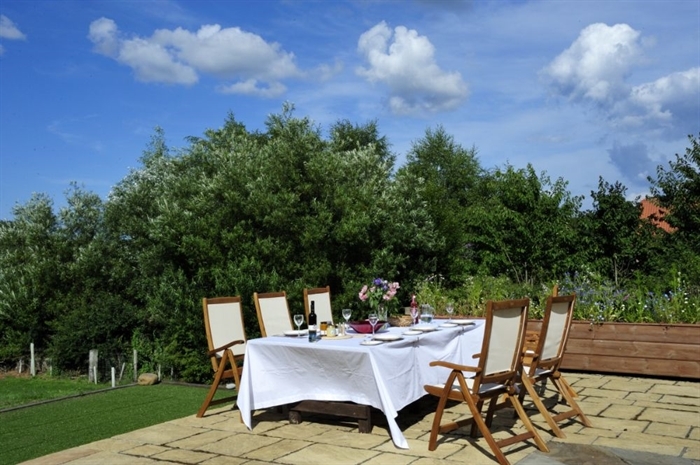 The terrace and garden have super views to open countryside. With direct access to one of the world's greatest salmon rivers on the doorstep, Riverside Lodge is a perfect base for fishing parties. The house sits above the Pedwell and Horncliffe beats on the English side and Ladykirk on the Scottish side, and is within easy driving distance of a number of bottom and lower Tweed beats. Norham Angling Association permits can be purchased in the village for some evening trout fishing. A few minute’s walk away is the pretty village of Norham, a finalist for England's Favourite Village Award, with a local shop, bakery, two pubs, a gunsmith and the celebrated Foreman's Butcher. More extensive shopping is available in Berwick-upon-Tweed (8 miles) or just over the border in the pretty town of Coldstream (8 miles). Norham is also close to two of the area’s best eateries; The Collingwood Arms at Cornhill-on-Tweed and the Allanton Inn which specialise in dishes prepared using the wealth of local produce on offer. 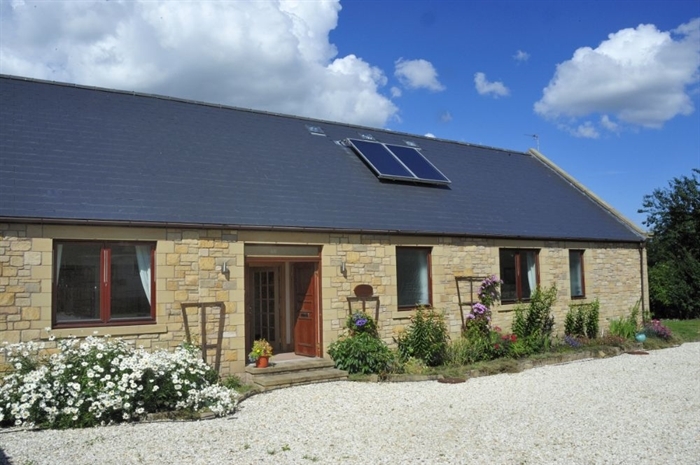 The property is an ideal base for discovering Northumberland's stunning and varied countryside. Explore the stunning Heritage coastline, including our favourites Bamburgh Beach, the mystical Holy Island of Lindisfarne, or the amazing clifftop views at St. Abbs Head. 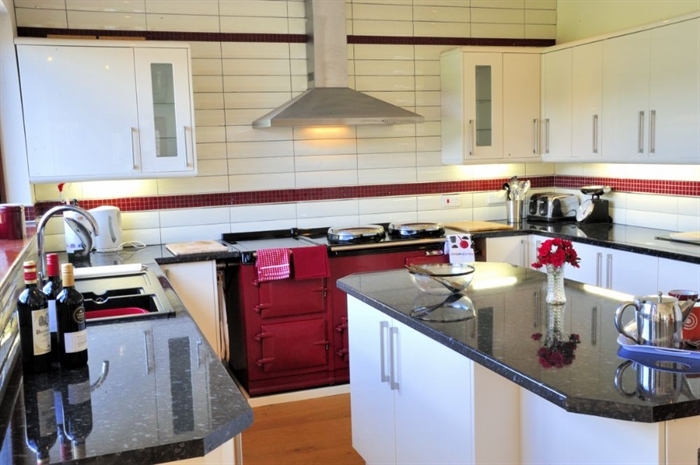 A stone’s throw in the other direction will take you to charming market town of Wooler, gateway to the Cheviot Hills, and access to fabulous walking and cycling amidst the spectacular scenery of Northumberland’s National Park. From the historic castles of Norham and Bamburgh, the vast romantic ruins of Dunstanburgh, the palatial splendour of Floors Castle & Chillingham, to the foreboding Alnwick, made famous for Hogwart’s School in the Harry Potter films, the area offers something for everyone. Riding is available at nearby Kimmerston, and there is excellent cycling on quiet country lanes around the village, and on on dedicated cycle routes including the Tweed Cycle Way and the Coast and Castles cycle route. The area is also a golfer’s paradise with several well-regarded courses nearby. For something a little different, clay pigeon shooting and archery are available locally. 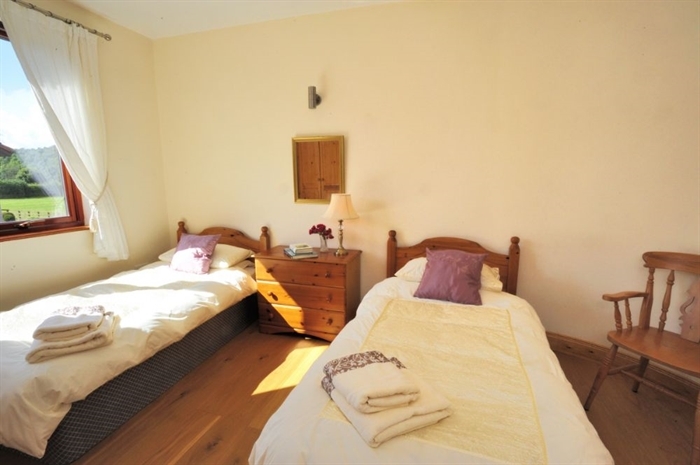 The accommodation is all on one floor and is suitable for mobility impaired guests. Bedroom two has a wet room and there is a wheelchair-friendly ramp up to the side door of the property. 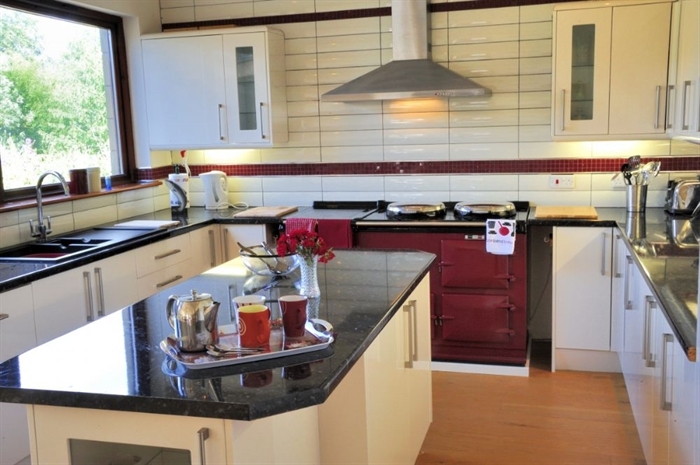 Kitchen area with 4 oven electric Aga with double hob and warming plate, dishwasher, fridge / freezer. Seating area with TV with Freeview, DVD and board games. Utility room with washing machine and space for drying outdoor kit. 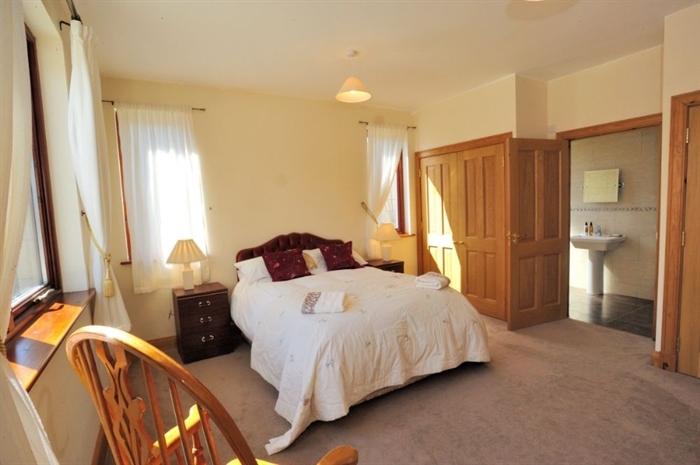 Bedroom one with double bed and walk in wardrobe. 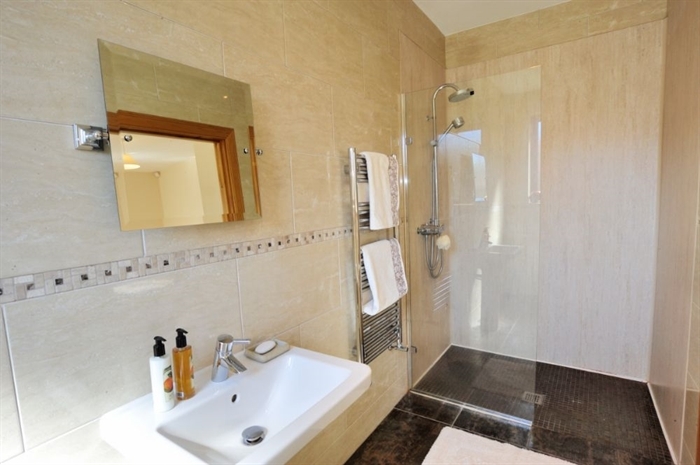 En suite shower room with walk in shower, basin and WC. Bedroom two with double bed. 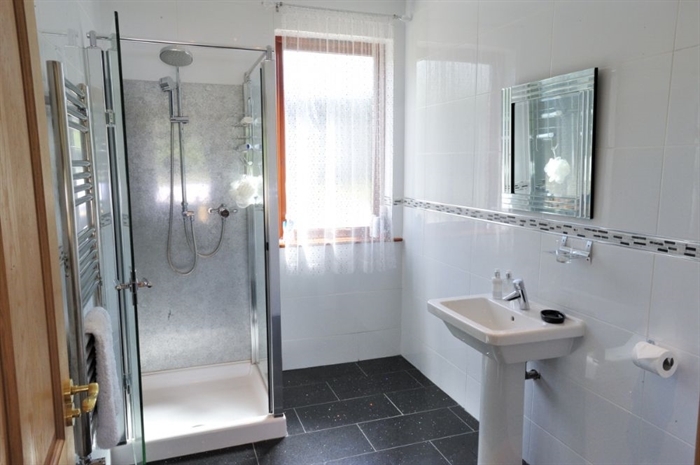 En suite wet room with walk in shower, basin and WC. 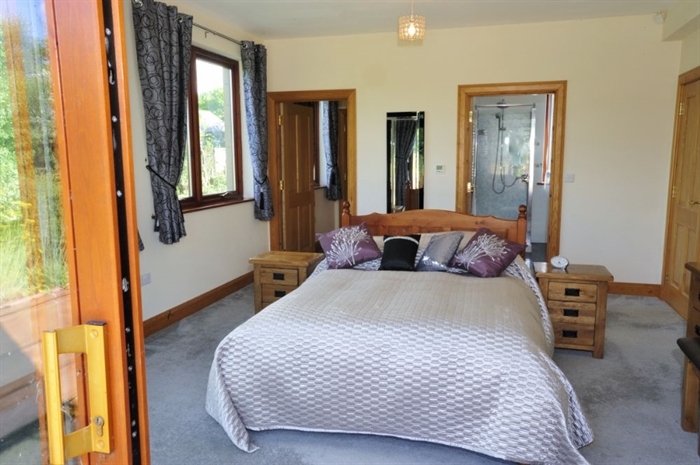 Bedroom three with double bed. Bedroom four with two 3’ twin beds. Family bathroom with bath with handheld shower, basin and WC. 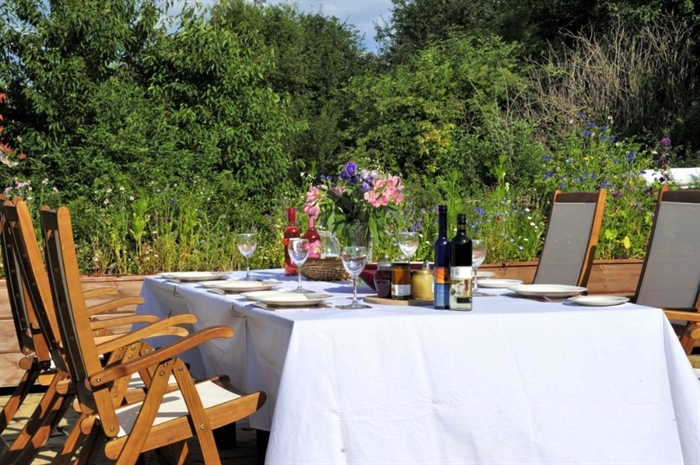 Riverside Lodge has a large, fully-enclosed garden. 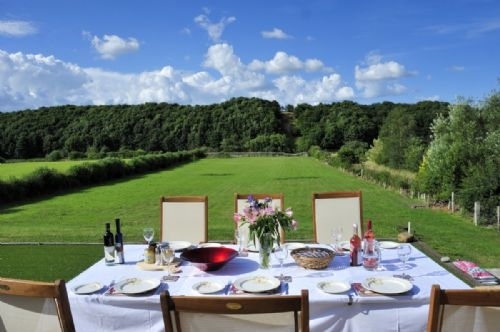 There is also a terrace with outside dining for 8 guests and a large gas barbecue. There is ample parking for at least three cars. A large garage is available for guest’s use as a rod and boot room. Please note there is very limited mobile coverage at this property on most networks other than O2. Coverage improves dramatically if one walks up the hill at the end of the village. A pre-pay O2 mobile telephone is available for guests to use. This will be left with about £10 of credit and guests can top this up as required. 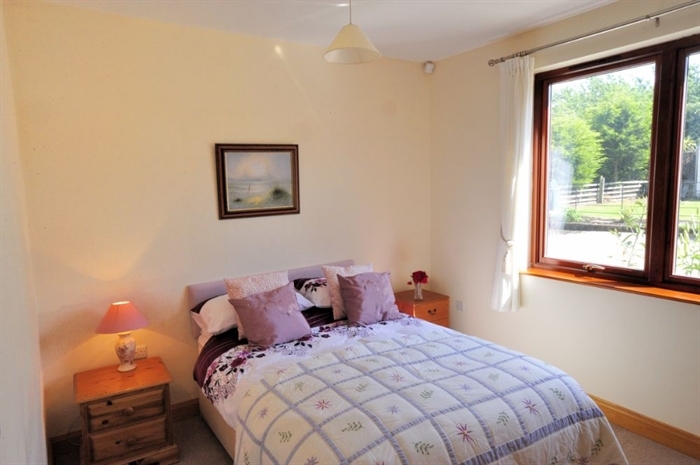 The beds are made up with hypoallergenic duvets and pillows. A hair dryer is supplied in the master bedroom. Luxurious bath sheets and hand towels are provided for all guests. Guest soap is also provided. A cot, high chair and buggy are available for guests. Guests with young children should be aware that there is a drop of about 4’ from the raised terrace area onto the lawn. A welcome pack of basic provisions is provided. There is underfloor electric heating in addition to central heating provided by a combination of solar and oil. Catering at Riverside Lodge is entirely flexible. The house can be taken on a self-catered basis, or partly or fully catered options can be arranged, including a homemade meal and wine delivery service. Dogs are welcome in the garden but are not allowed in the house and must be kept to the dog run or the garage.